← How to convert px3 to jpeg via command line? How to convert prn to postscript? The files in a digital format of PRN are commonly used for printers. Postscript is the full name of PS. 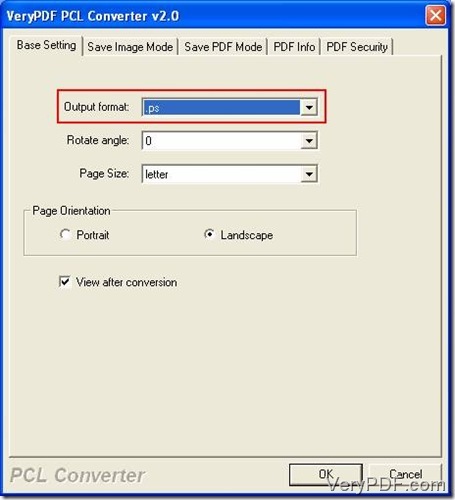 To convert prn to postscript, VeryPDF PCL Converter is being introduced in this article. It not only can convert prn to postscript, but also PXL, PCL and PX3 printer files to other formats like PS, TIF, JPEG and BMP. You can download this wonderful conversion tool at http://www.verypdf.com/pcltools/index.html. Before you start this conversion job from prn to postscript, you should install this converter into our computer. 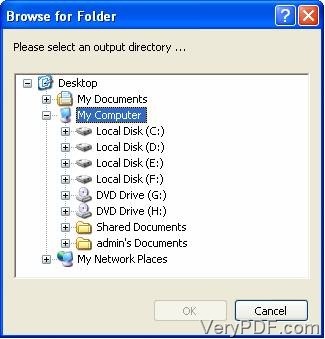 After this installation, you can run this program following this menu path, “Start”-“All programs”-“VeryPDF PCL Converter v2.0”-“VeryPDF PCL Converter v2.o”. Then you will come to the main interface. Next you will select PRN files you want to convert into the file list of the main interface. “Add File(s)” button on the toolbar can be the most direct way. Click on “Add File(s)” button, choose PRN files you want to convert in the next dialogue box and click “Open” button. Then you will see PRN files shown in the file list of the main window (picture 1). 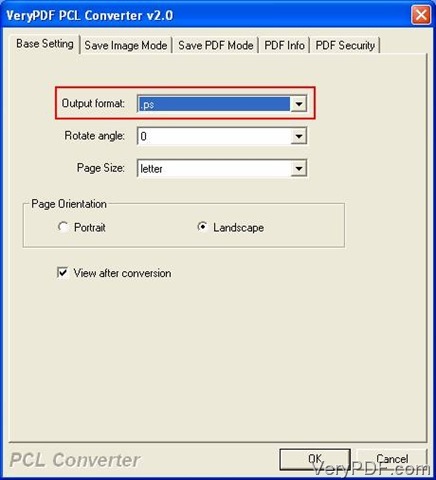 Then you need to set parameters in the setting dialogue box called “VeryPDF PCL Converter v2.0” (picture 2). Click on “Setting” button, choose “Base Setting” tab in the following dialogue box and change the option to PS in the dropdown list of “Output format” (picture 2). Tips: PS is short for Postscript. At last you will come back to the main interface. 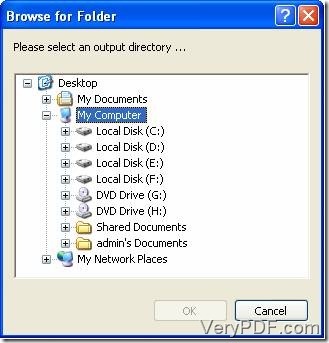 To start this conversion job from prn to pxl, click on “Start” button, select a directory to put the output files in in the popup window and click on “OK” button to save the output directory selection. If you have done this conversion step by step, you know how to convert prn to pxl via VeryPDF PCL Converter. There are more powerful features about this converter and you can know them at http://www.verypdf.com/pcltools/index.html. If you want to use this converter without any restrictions, you can go http://www.verypdf.com/pcltools/index.html. How to quickly create RTF from PDF? How to convert PCL to TIF and set color depth? This entry was posted in VeryPDF Blog and tagged prn to postscript. Bookmark the permalink.